Today is my oldest brother's birthday. Let's just say he is no spring chicken. He is 60+, but I think 60 is the new 40 - or something like that. So happy birthday, Jack. You are being celebrated here in Texas although you are far across the country! So cute!!! What stamp is this?? 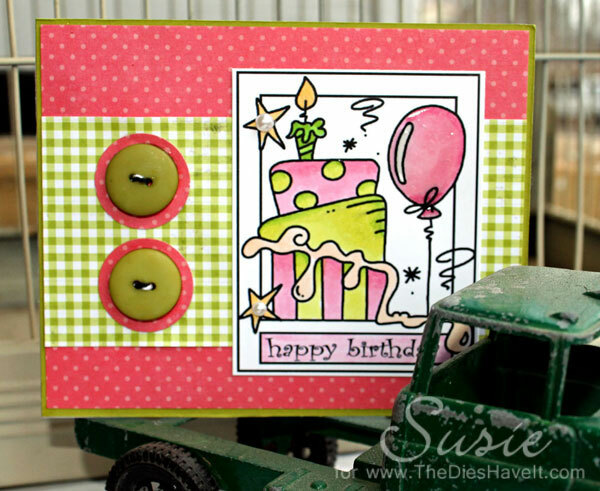 It's from Bugaboo stamps. It is called Make it Snappy Happy Birthday.